Unicorns. Mermaids. And now fairies. We’ve got your mythical bases covered this summer! 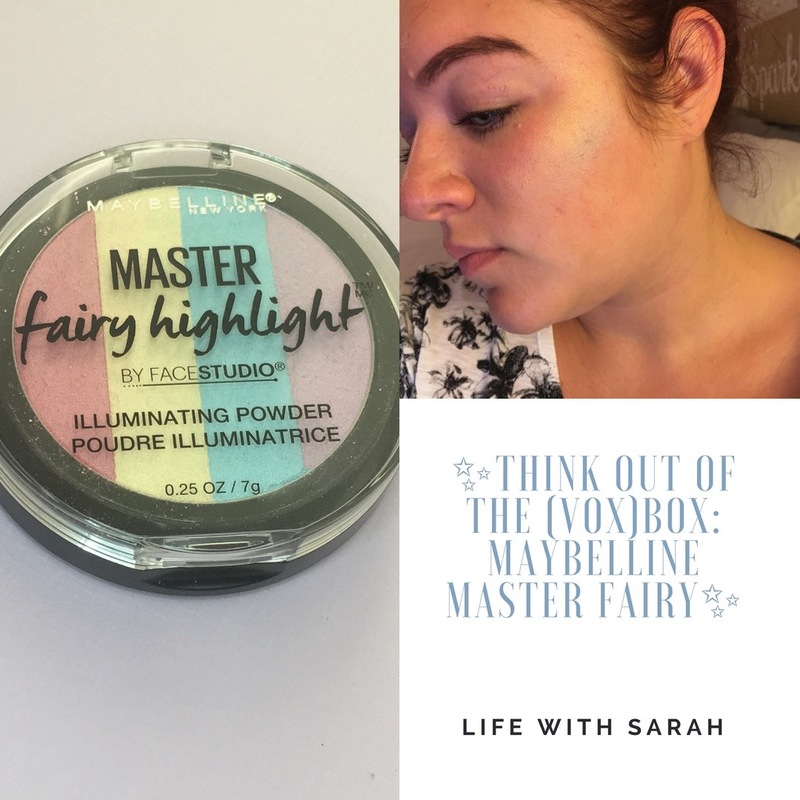 I recently received the Maybelline Master Fairy Highlight from Influenster complimentary for testing purposes. (Thanks again, Influenster!) 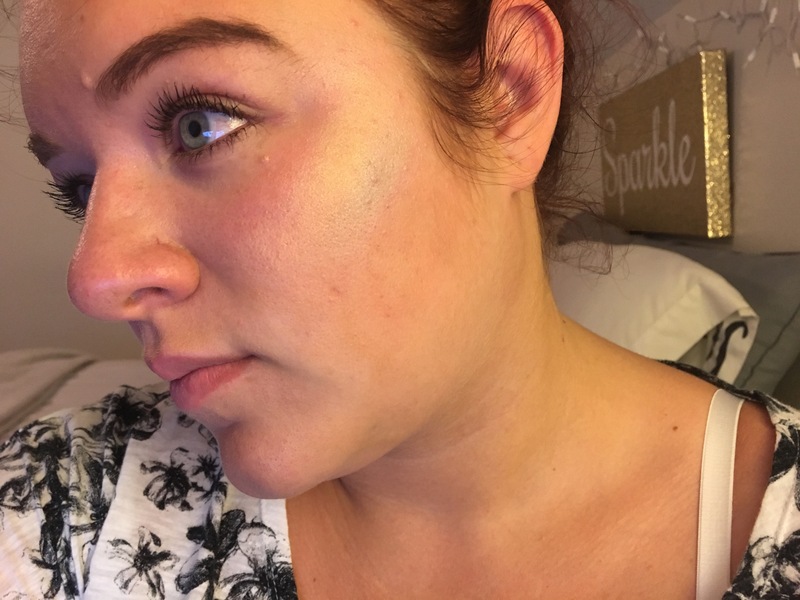 and I’ve been feeling magical af with this incredible drugstore highlight. It’s expected to hit shelves later this month, but already we’ve seen some similar vibes from Wet N Wild and other indie brands that have been flooding your Insta feeds. Rainbow highlights are something that can be rocked by anyone for any kind of event, so don’t limit yourself to just rocking these colors at a club or at a festival, bring the party with you every day! It looks daunting, but it’s not as scary as it looks. I promise! You can rock this highlight by using the singular stripes of red/pink, yellow, blue and purple or by swirling your brush to pick up all four to create a gorgeous silvery combo that’s super flattering. I’ve been using my Real Techniques highlighting brush to swirl and pack it onto my cheeks, tip of my nose and also my Cupid’s Bow. The formula is creamy and is really pigmented for being a drugstore highlight. I think I was expecting it to be chalky, but Maybelline doesn’t disappoint, which is why they’re my go-to drugstore faves. 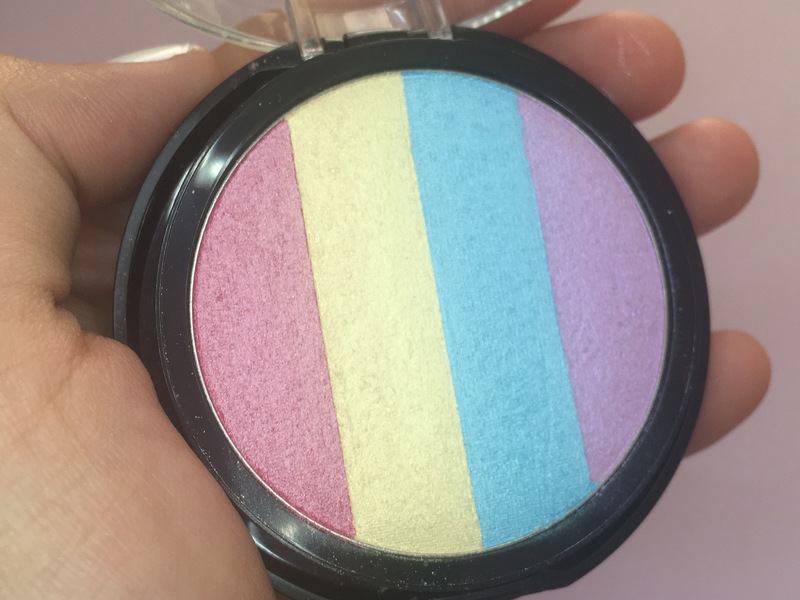 *PRO TIP: Use the sponge that comes in the bottom of the compact to create the real gradient of the rainbow for some serious Instagram looks by pressing and swiping it onto your cheeks. The colors blend out nicely if you don’t like a sharp and dramatic look and it’s long lasting, beating the summer heat. If you’re trying to go minimal, blend out those edges so it doesn’t look too streaky. For someone who swears by her Anastasia Beverly Hills Moonchild and Kat Von D Alchemist highlighting palettes, this is a fun and trendy highlight that is worth the money. It’s a great drugstore highlight for those who aren’t ready to commit to an expensive palette but want to test out some out of the ordinary colors. Video | This entry was posted in makeup and tagged ABH, Alchemist, Anastasia Beverly Hills, bbloggers, beauty blog, beauty blogger, beauty junkie, Highlight, Influenster, kat von d, life with sarah, lifestyle blog, make up collection, makeup, makeup addict, makeup blogger, makeup dolls, makeup haul, makeup look, makeup love, makeup lover, makeup talk, master fairy highlight, Maybelline, Moonchild, Palette, pretty, rainbow, sarah lokker, sarahhlokk, swatch, voxbox. Bookmark the permalink.